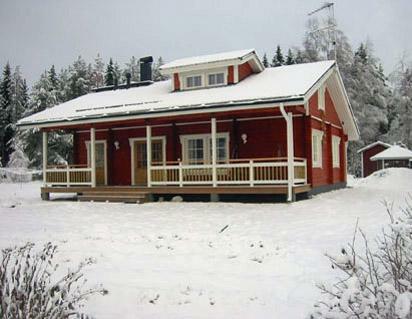 This log holiday house in the area of Kuolaniemi in Sotkamo, was completed in 2005. 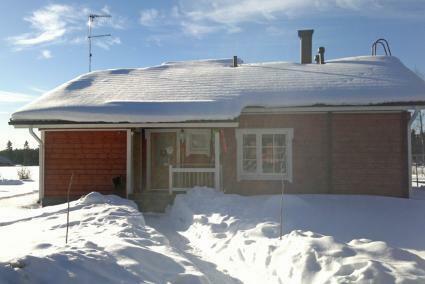 Floor area 72 m², incl. loft. 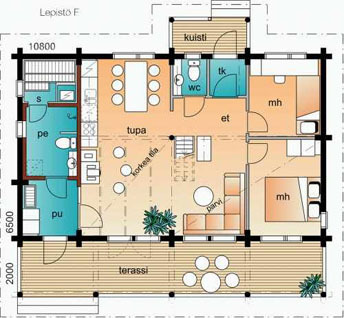 Combined living room & kitchen with sofa-bed for one, bedroom with separate beds for two, bedroom with twin bed. Loft with separate beds for three. 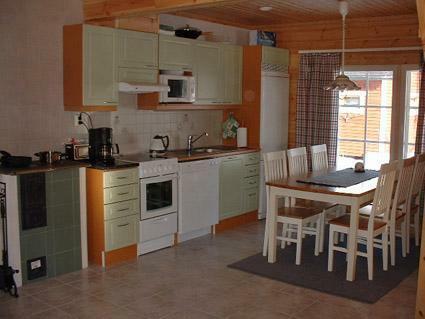 Toilet, sauna (electric heating) and washroom with toilet. Kajaani 45 km, Sotkamo 10 km. Final cleaning not included. No pets allowed. Ski store. Bed and high chair for a baby. 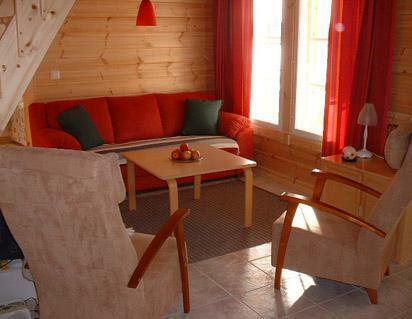 Check in at 4 pm on arrival day and check out at 12 am on departure day, also in case of a weekend stay.